I’m finally going back to West Virginia. 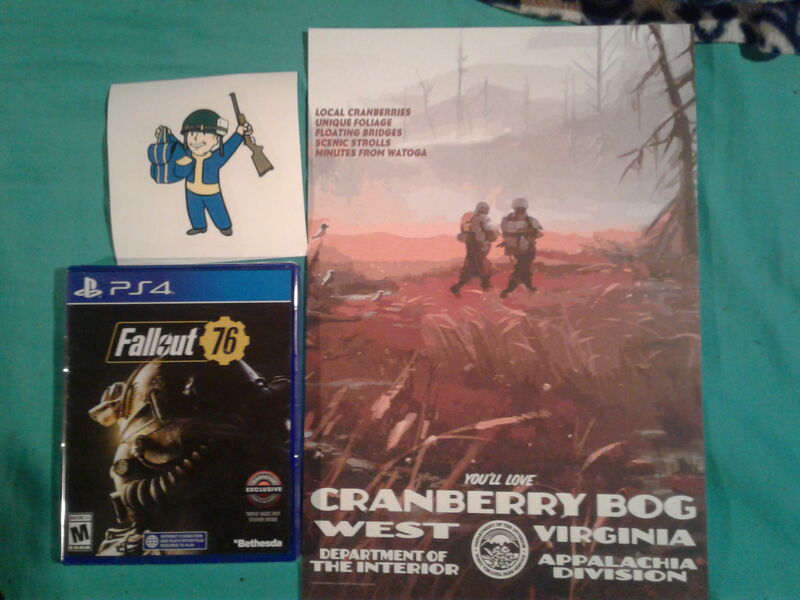 I got Fallout 76 and it came with another sticker and an old-timey advertising poster. Oh how I waited since E3 for this moment… I could almost cry. Hell, I had to fight of the urge to sing “Take Me Home, Country Roads”. But to be honest, that song is wrong. The song was written by a guy who had never visited West Virginia before writing it. The inspiration came when one of the writers was driving form Springfield Massachusetts to Clopper Road in nearby Maryland. The Blue Ridge Mountains and the Shenandoah River are both in Virginia, with that river barely passing through the West Virginia “panhandle”. Anyway, the writers were friends of John Denver, but were originally going to sell the song to Johnny Cash until Denver said that he wanted the song after listening to it. Enough fun facts, I do plan on live streaming it after playing it some more. I didn’t get to experience much of the beta. But first… I have to use that Soulcalibur VI season pass to play Tira’s Soul Chronicle. And watch the third episode of the current season of RWBY as well. Dang, I’m gonna be busy.